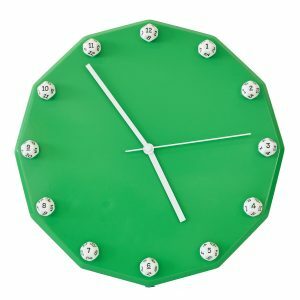 Designed for “CUBE” style of play for Magic the Gathering. 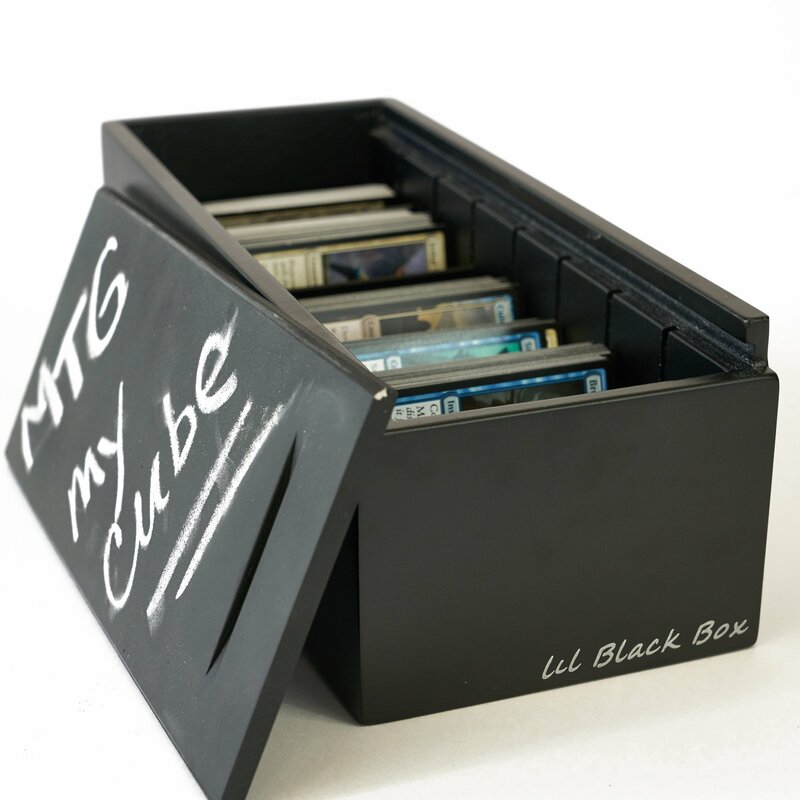 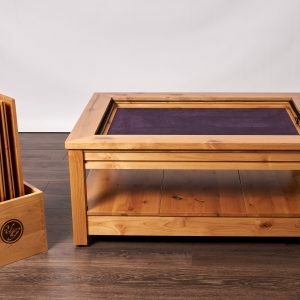 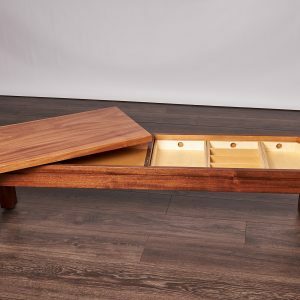 Holds 8 decks of 45 premium double sleeved cards for up to an 8 player draft. 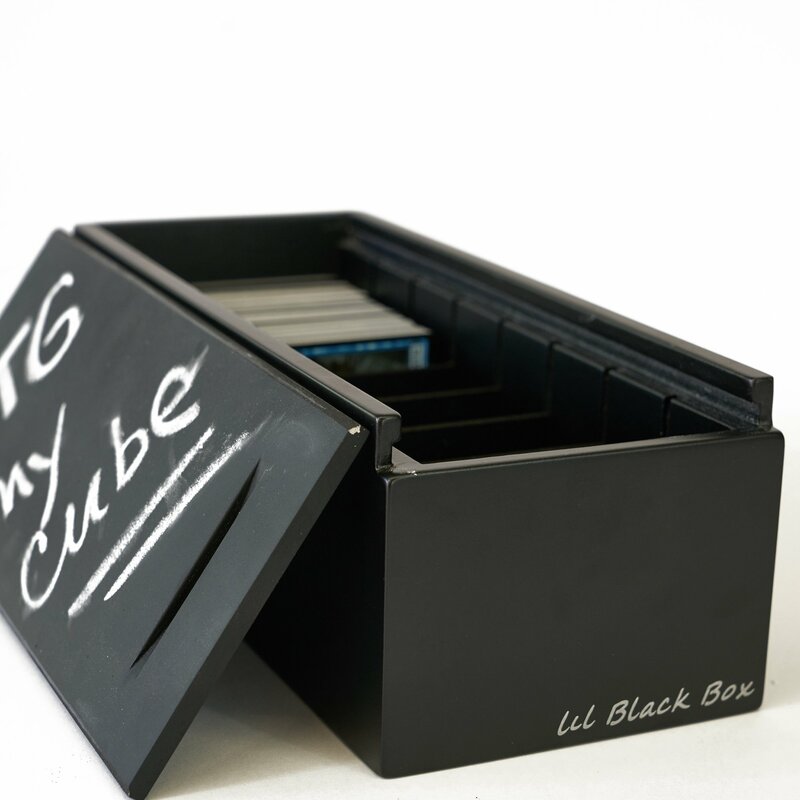 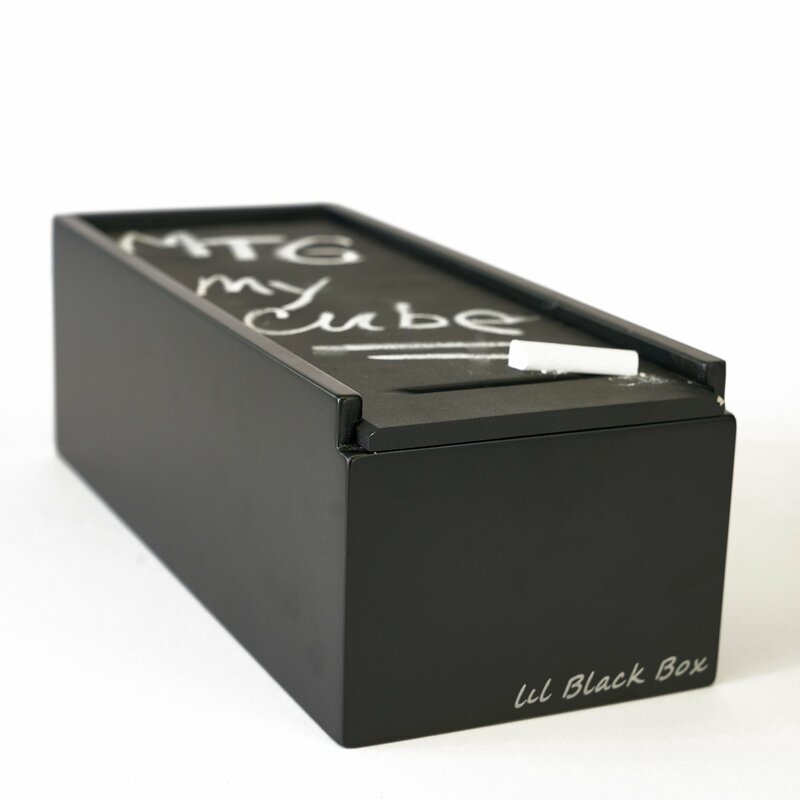 Chalkboard top allows for easy identification of the cube. 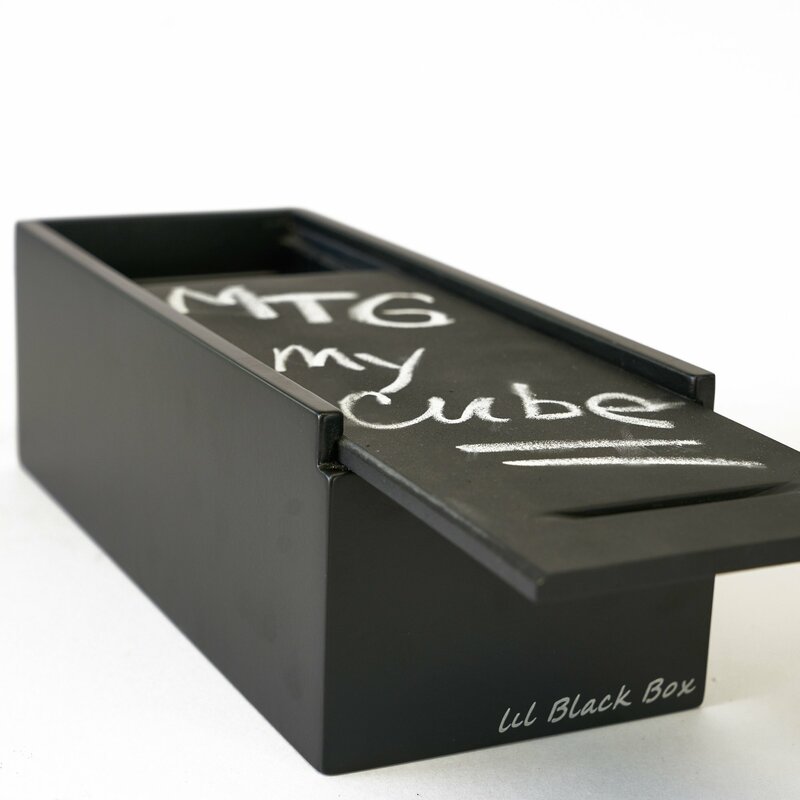 Stylish Matte Black finish that is durable enough to stand up to years of use.